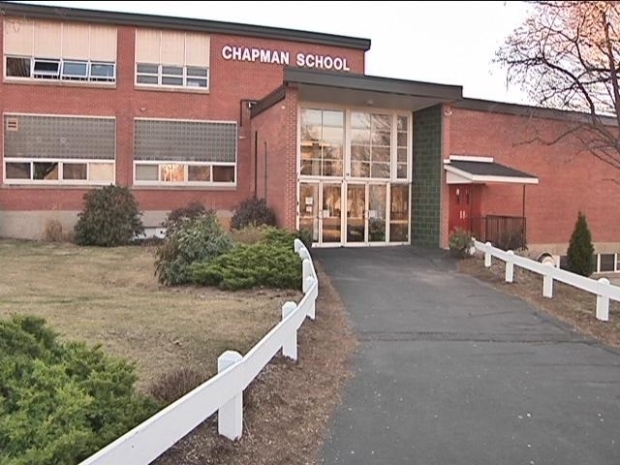 Parents and students alike are worried that Chapman Elementary School could be on the chopping block if the Board of Education doesn’t receive the funding it needs in this year’s budget. “It’s just been a great experience. It would be really disappointing if they chose to close it,” said Susan Musgrove, whose daughter, Jane, attends the school. “I would be concerned if the plan was to add more students to the other elementary schools without planning to hire more teachers or expand somehow,” said Sid Hubelbank, another Cheshire parent. The Board of Ed says there are no definite plans to close the school, but parents need to be aware of the troubles facing the district. The Board says it needs the Town Council to pass the budget as the town manager has proposed it. It would give an additional one million dollars to the schools, which is a two percent increase over last year’s budget. If not, the district could be facing layoffs and program cuts. While the Cheshire School Board awaits their funding from the town council, parents of one elementary school are contemplating a worst-case-scenario. “It’s absolutely the worst-case scenario, of course we remain hopeful, as do we all in this economy, but we have to remain prepared,” said Gerald Brittingham, Chairman of the Cheshire Board of Education. Parents argue that quality education was the reason they moved to Cheshire in the first place. Some are prepared to do whatever it takes to keep the town’s high education standards. “I know there are people with backs against the wall, and I know I’ll probably be the most unpopular guy in the room, but I will tell you right now. If it will keep our school system at the level it is, raise my taxes,” said Randy Yale, a Cheshire parent. The Superintendent says it will take even more than that. “The community coming together, all parties involved in the budget working together, to meet kind of what we need to keep our schools at the level of excellence we have right now,” said Dr. Greg Florio, Cheshire’s Superintendent of Schools. Dr. Florio will be meeting with staff and parents at Chapman Elementary on Tuesday at 7 p.m. The town council will hold a public hearing on the budget on April 5, 2010.